“Art is not an option, it’s a right. That is what I’m working to change here” (El Nabawi). Quoted in a recent article in thedailynewsegypt.com, Tony Kaldas, Egyptian singer and 2012 nominee for Music Prize in Time for Peace Music & Film Festival, begs into question the bounds of art as a societal change agent through the self-expression of narratives. At what point does the self-expression of the individual chafe against the status quo of the familiar in a community or government, and at what point does community or government infringe on the individual’s right to self-expression? How can music play a role in this relationship by serving as a medium of common ground for government, community, and the individual to explore the right to self expression of narrative(s)? Based upon his artistry intertwined with humanitarian messages, Kaldas received the nomination for his song, “Anta Akhy (You are my brother).” The song awakens the lyrics of famed poet and philosopher Khalil Gibran with Kaldas’s warm melodies. Kaldas’s quote is one embedded with the Egyptian cultural scene in mind. By challenging the concept of religious observance utilized in society to construct one politically enforced truth, the words of Gibran sung with Kaldas’s sweet voice unveil religion bringing those of different faiths closer in the moments of Egypt’s dire stand for justice. Each narrative highlighted in the song describes the varied practices of bowing in the mosque, praying in the church, and kneeling in the temple coalesced into a vision of one communal future. You are my brother and I love you. Both of us are sons of a single, universal, and sacred Spirit. For we are prisoners of the same body, fashioned from the same clay. You are my companion on the byways of life. You are my brother and I am in love with you brother. You may say that Kaldas is an optimist, a little drop of water in a big ocean full of uncontrollable elements. On the other hand, who empowered Kaldas to use the arts to foster transformational change? It is Khalil Gibran in expressing his right to the art of words. Thus, we can see that even a drop of water can produce ripples of change affecting the entire surrounding area. A successful pro-social effect is not stagnant; it must be fluid, connecting many. Music in its multiple forms can serve as a medium for this transformational change. Let’s take this discussion to the next level. Instead of a singular stream of change, imagine many young musician activists from throughout the world joining in one place to create new music built upon each others’ narratives and shared ideals for a better world? OneBeat, the U.S. Department of State’s Bureau of Educational and Cultural Affairs recent partnership initiative with Bang on a Can’s Found Sound Nation, will foster an international music exchange encounter in the U.S. consisting of youth musicians (ages 19-35) from all over the world this September 2012. Lasting a total of 4-weeks, OneBeat will begin with a two-week residency at the Atlantic Center for the Arts in Florida where the youth musician participants will “write, produce, and perform original music, and develop ways that music can make a positive impact on our local and global communities” (OneBeat). The last two-weeks will consist of a tour along the east coast from Florida to New York City. Besides public concerts, much of the citizen diplomacy element will be instilled by engaging workshops lead by the youth musician participants at cultural community centers along the way. Sounding like “The Survivor” of all music experiences, sans being voted off the island or perhaps the “Musician Peace Corp” (which might just be the same thing according to some), what is required to make this initiative successful? How will the individual from Kyrgyzstan find his or her right to voice and narrative alongside individuals from Haiti, Hong Kong, Russia, the Czech Republic, Iraq, Panama, Mozambique, amongst 32 other nations? In order for participants to create a pro-social effect in American communities, and yet as well within the communities of their birth country, how and where should the drop of water fall into the big ocean? Advantageous, you ask? Indeed. None the less, success is possible beyond a doubt. As in any diplomatic venture, creating an environment with a level playing field for each individual to express his or her narrative is crucial. Much like the curriculum of a music intervention program that empowers youth and transforms conflict, the State Department and Found Sound Nation will need to configure into OneBeat an infrastructure that challenges the youth musician participants to push beyond the familiar. The end goal cannot be to simply agree with the status quo, without question or exploration. Searching for the fine lines where dissonance transforms to consonance and consonance transforms to dissonance must be discovered musically and discussed interactively. Here are 10 suggestions, according to week, to assist OneBeat in producing “a musical journey like no other” (OneBeat). Each suggestion is a summarized statement originating from an in depth curriculum (to access the entire curriculum, please contact me). Though not addressed in the descriptions below, the use of social media is an important facet that should be implemented for PR, networking, and communication. Create a safe space for the youth musician participants to learn more about each others’ backgrounds and culture by listening to participants’ narratives. Express personal ambitions, needs, and fears attributing from their narrative. Adopt an interactive process of transforming initiatives that will help the group bond, exchange musical ideas, and converse pertinent social-action issues. Consider all of the possibilities to foster warm beginnings. This might be in the form of icebreakers, eurythmics, group dynamics, jam session, etc. Even one smile is contagious. Every participant must feel comfortable in expressing his or her voice musically and in group dialogue. By agreeing upon a “social contract” written in conjunction with the youth musician participants, every person is included in deciding the retreat’s immediate/long-term goals and methods of engagement. Producing a social agreement is crucial, yet will only prove fruitful if its contents embody the vision of the retreat elaborated by the participants. 3. Explore. Listen. Improvise. Share. Remember the activity “show- and-tell” from your childhood? Though you may be older, this exercise is without shelf-life. This exercise can provide the perfect opportunity for each participant to introduce their narratives from ethnic and religious allegiances to social issues they care about. In addition, much of this could be discussed in dialogue groups under adherence to the social agreement. I suggest to take this exercise beyond dialogue by including a musical component as well to substantiate the dialogue. This could be in the form of sharing the melodies of one’s culture, the sounds of one’s favorite composer or band, tributes to artists most inspirational, amongst many other creative possibilities. The inclusion of a jam session would also be great. Build upon the exercises of Week 1. Initiate intensive song writing and rehearsal. Reflect upon the learning experiences thus far to add depth to writing songs and rehearsing. There are so many great song writing exercises that provide bonding opportunities, further “out-of-the-box” thinking, and not to mention, are a lot of fun. 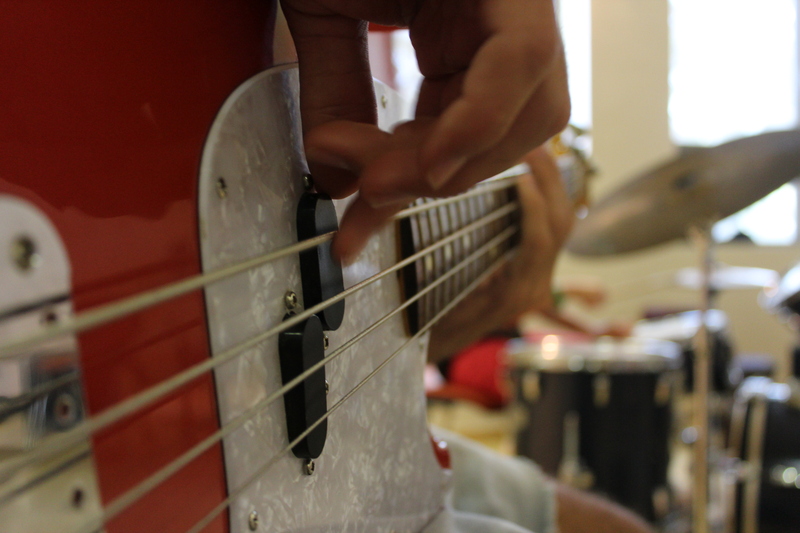 Once a song is drafted, rehearsing is necessary for accuracy and testing musical ideas. 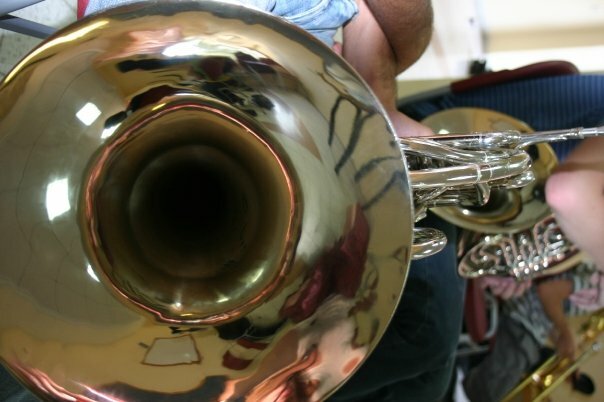 Though musicians may groan at the prospect of rehearsal, it is a repetitive bonding experience that can deepen relationships. Providing time for reflection and group dialogue is essential for such an intensive experience. Participants will need space to digest the new realities they have created, which may be very different from what would usually occur in their birth country. To facilitate this process, I also suggest that each participant consider writing in a small journal to document and express their personal feelings and ideas. Masterclasses presume several goals in this case. One aspect is for the youth musician participants to observe well-known artists on stage in the moment. 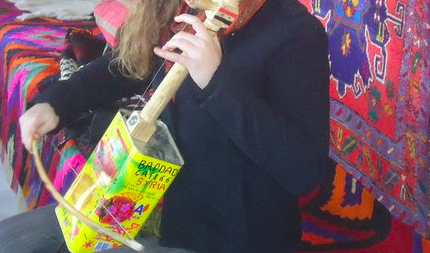 Experiential learning is important in music performance. Secondly, masterclasses provide a great opportunity for performance-practice and feedback from the guest artists and peers. This is also standard music performance teaching, and creates the youth empowerment attribute of putting participants “on edge” to produce an exhilarating outcome in front of their peers. Week 3 and Week 4 both focus on the tour, including public performances and workshops. The performances and workshops are valuable products of the retreat. In planning, the organizers must strive to make these appearances highly accessible to all communities, and especially those represented amongst the participants. Grassroots, or bottom-up efforts, are meant to invigorate the people by involving them in the act of social change. The rural areas must not be forgotten. None the less, dignitaries, elected governmental officials, and key “top-down” connectors must be involved in a strategic way as well. Ask the question, “Who is our target public(s)?” and from there, set a date and a place for each event, with who to invite in mind. The purpose of the concerts and workshops are not merely for an audience to listen to the presentation and then go home. Both of these community outreach events must be interactive! In other words, the transfer of information should not flow one way, but rather in both directions as in a musical dialogue. Additionally, explain how and why music can be used as a tool for social activism in reference to the newly premiered music written during the retreat, which could add another level of depth to the entire experience. Lastly, include interactive elements, where the audience can join the music-making as well. This might entail requesting audience feedback during the performance, using eurthymics during a workshop to describe a point, utilize a few of the short exercises from the retreat, live-streaming of both productions for watching-parties locally and internationally, etc. It is also important to consider who is invited to decipher what type of interactive elements are required. For example, specifically invite the music educators of music intervention programs and their students to attend a workshop. Automatically, you know which types of exercises would be helpful for this group and skill level. It might be a good idea to distinguish which exercises are for a beginners group, advanced group, or even at a level the general public can grasp. As a general rule, come prepared with more, than less. Though personalizing the message may sound hokey, this is how many audiences will connect with such an unusual project as OneBeat. Similarly to the performed music, bring light to the narratives that exist within the group of youth musician participants. Engender compassion, empathize, and humanize. After the retreat and tour end, the youth participants may feel like an entire world has been taken away from them as they return to their normal lives. This feeling can be devastating, without suggestion of how to encourage the same creativity and excitement created during OneBeat. Truthfully, the drive for social activism instilled by OneBeat is only part A of the bigger composition. What about part B, C, A1, or leaving the exposition entirely to enter the development? Like in peace education, this type of conflict transformation is successful via long-term goals, rather than short. Luckily, the Internet provides plenty of possibilities to continue the intercultural music exchange, despite borders and time zones. It would be great if OneBeat developed material that addressed the ways the youth participants can continue to share ideas, produce music together from afar, and coordinate local discussions and performances pertaining to their experience with OneBeat. The imparting of one’s narrative interactively through music can go a long way. 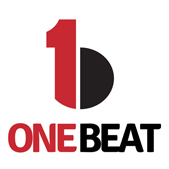 Good luck to the many young musicians across the globe auditioning for OneBeat. Remember, even the smallest drop of water will create a ripple effect transforming its surroundings. Every narrative counts; every beat counts. It is your right! FYI: For more in depth explanation of each suggestion, e-mail me (shoshibee@gmail.com) with your comments, suggestions, and questions any time! I attempt to cite all of the sources used in my writings and research as correctly as possible, so please adopt the same policy toward the works presented here and as well my own writings by citing this blog’s findings correctly. This blog is meant for sharing, not plagiarism. Thank you for your respect. 1. El Nabawi, Maha. “For Tony Kaldas, ‘art is not an option, it’s a right'”Thedailynewsegypt.com. International Herald Tribune, 06 Feb. 2012. Web. 08 Feb. 2012. <http://www.thedailynewsegypt.com/music/for-tony-kaldas-art-is-not-an-option-its-a-right.html&gt;. 2. Gibran, Khalil. “The Voice of the Poet.” 4umi.com. 4umi.com. Web. 24 Feb. 2012. <http://4umi.com/gibran/vision/5&gt;. 3. U.S. Department of State’s Bureau of Educational and Cultural Affiars. “OneBeat.”About. U.S. Department of State’s Bureau of Educational and Cultural Affiars. Web. 12 Feb. 2012. <http://1beat.org/&gt;.